New to the horsing life? 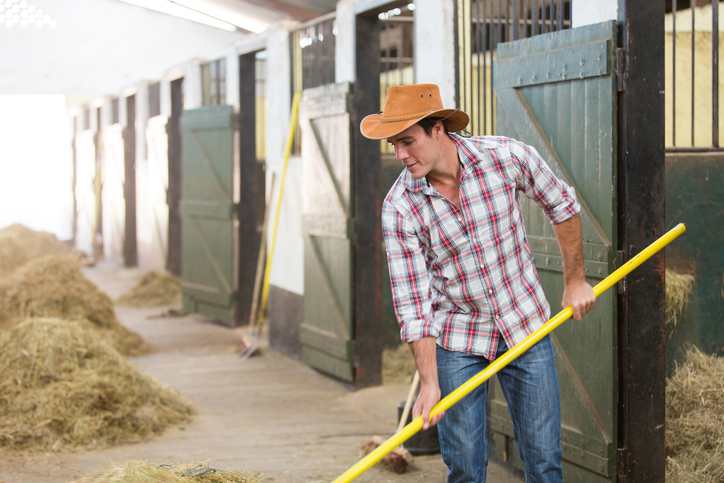 Read on to find out how to properly take care of your horse stalls and stables. The stalls’ flooring is important to your horses’ health. Concrete is not recommended as it’s hard on the horses’ legs and hooves. It also gets too cold in the winter and doesn’t drain well. The best option would be to buy mats for the stalls as it cuts down on cleaning time and reduces dust and muck. When it comes to bedding, there are many options. Shavings and sawdust are easily available and affordable; however, they tend to be dusty, which can harm the respiratory health of some horses. Straw, on the other hand, is not very absorbent and is prone to mold; plus, separating soiled straw from clean ones is more time-consuming. Today, you can also get more efficient commercial products as bedding. These materials work similar to cat litter, reducing bad odor and making it easier to muck out the stall. Take care of small issues before they escalate into massive repairs. Addressing any issue fast, no matter how tiny, will go a long way towards keeping your stable in prime condition and your horses safe and healthy. A squeaky door could lead to a broken hinge and a horse running around the enclosure without supervision. An exposed nail could also lead to one of your horses getting injured. Make sure that everything is in order. Moisture is your number one foe as it can lead to a number of adverse effects on both your stable and your horses. Mold grows in damp places and is hazardous to your horses’ well-being. Unchecked moisture results in rotting wood in wooden stables or rust or corrosion in steel ones. Make sure to clean out soiled bedding and ensure that all the drains are working. Avoid wetting areas down when you’re clearing out dust as a humid environment is unsafe not only for the horses but their human caretakers as well. Make sure to have open passages for your horses so that they have good, clean air. Good air flow helps regulate the temperature in the summer, and helps control moisture build-up as well as remove the stench of ammonia and other odors in the winter. Unclean air can cause respiratory illnesses like pneumonia and heaves that will spread rapidly among your horses. Keep dry bedding and hay separate from the stables as they can collect dust which can make your horses ill. Dirty bedding will also contain ammonia, so make sure to regularly replace the bedding with fresh ones. Proper care for where your horses eat and what they eat will keep them healthy. Scrub down their food and/or water buckets at least once a week. Keep hay and other feed in a dry, safe storage area to prevent parasites, vermin or droppings from contaminating their food. Also, watch out for moisture – if it gets into the food storage, the food can spoil easily. In the market for horse properties and farm land for sale in Northern Colorado? Get help from your best guide to horse properties in Larimer County and other nearby areas. 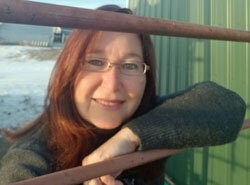 Look for Claudia Hewell at 970-672-6976 or email me at Claudia(at)HorsePropertyDeals(dotted)com.